Keratoconus is a degenerative disorder of the cornea which usually develops in adolescence. It can cause a significant reduction in the quality of vision and may limit the lifestyle choices of individuals who are not able to meet the visual standard for their chosen career, in particular the police and armed forces. Keratoconus makes the corneal tissue thin and lose strength which can result in the development of a cone-shaped bulge (ectasia) in the lower part of the cornea. The irregular astigmatism which is created by this bulge can be corrected by wearing spectacles or soft toric contact lenses but the condition may progress to the point at which rigid contact lenses are required to provide satisfactory vision. For some patients these become difficult to tolerate and the point may be reached where contact lens fitting is no longer possible. Even if contact lenses can be worn the cornea may become opaque as a result of scarring caused by the ectasia and left untreated some patients will require corneal transplantation. Corneal collagen cross-linking is the first treatment available to halt the progression of keratoconus and stabilise the condition in almost all patients. For a proportion of patients it can also improve the shape of the cornea so that spectacles and contact lenses can be fitted more easily and provide higher quality vision. Corneal collagen cross-linking works by increasing the biomechanical stability of the layers of the corneal stroma. It does this by creating additional cross-linkage between the collagen fibres to improve the structure of the cornea. When first developed the treatment took an hour to perform to one eye which many patients found uncomfortable. Now however a new rapid form of corneal collagen cross linking is available so that both eyes can be treated at the same time with improved patient comfort and convenience, together with the reassurance that the condition has been stabilised as soon as possible. The eye is anaesthetised with eyedrops and kept open by a clip which supports the eyelids. 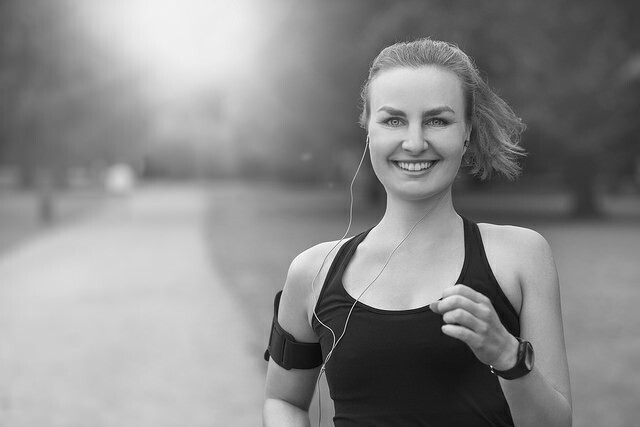 To allow the treatment to be applied, the epithelial or surface layer of cells is gently removed, although for some patients it may only need to be disrupted with a specially designed instrument or even left in place. The cornea is completely soaked with a riboflavin solution and then exposed to Ultraviolet A light for several minutes. It is only possible to go ahead with treatment if the corneal thickness is sufficient to protect the eye from the effects of the UV light. After treatment there will be some grittiness, watering and light sensitivity to begin with but this settles over a couple of days as the corneal epithelium heals, sometimes with a protective bandage contact lens in place. Eyedrops are used regularly over the first few weeks to ensure safe and comfortable healing and the shape of the cornea is monitored at follow up consultations to ensure that the keratoconus has been stabilised. Until the corneal epithelium heals there is a risk of infection. There may be some corneal oedema following the treatment. It is very important that the antibiotic and steroid drops prescribed are used as directed. If the cornea is not sufficiently thick the deeper structures of the eye could be damaged by the UV light but the corneal thickness measurements are carefully checked before the application of treatment. 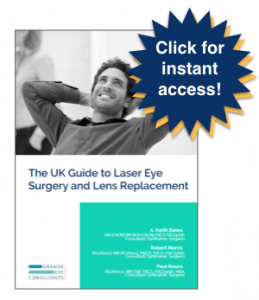 How does corneal linking work? Corneal cross-linking is a technique for strengthening the cornea. Learn more about its use in the treatment of Keratoconus. How does a corneal transplant work? A corneal transplant is a procedure where we remove a damaged or diseased cornea from a patient and we replace this with healthy corneal tissue. Click here to learn more about corneal transplants. Does keratoconus need urgent treatment? 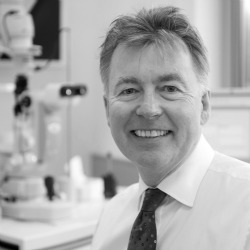 Robert Morris explains whether keratoconus needs urgent treatment and what the treatment options for keratoconus are. Why should I choose Robert Morris as my eye surgeon? 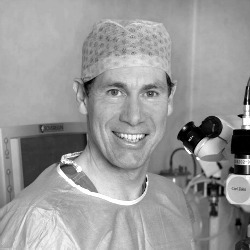 Robert Morris explains why he is the best choice as an eye surgeon. What is Robert Morris’ training, background and experience? Robert Morris informs about his background, training and experience which has spanned almost three decades of practice.